What is a ‘new’ tyre? Over the past few weeks I’ve had some new tyres fitted to the ZX14R. First a front a couple of weeks ago and then a ‘new’ rear today. But just how ‘new’ is new? 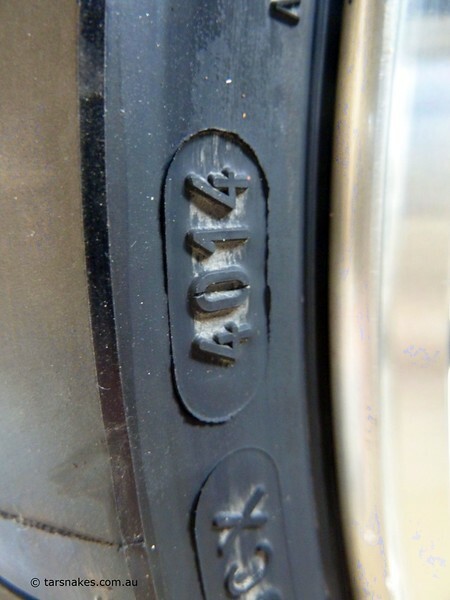 As I was re-installing the rear wheel I caught sight of the manufacturing date stamp on the side wall of the tyre which has the numbers 4014. My understanding is that what this means is that this tyre was manufactured in the 40th week of 2014. Therefore it’s about a year old. So is a one year old tyre really a ‘new’ tyre? I don’t know what the industry standard is. Any suggestions? 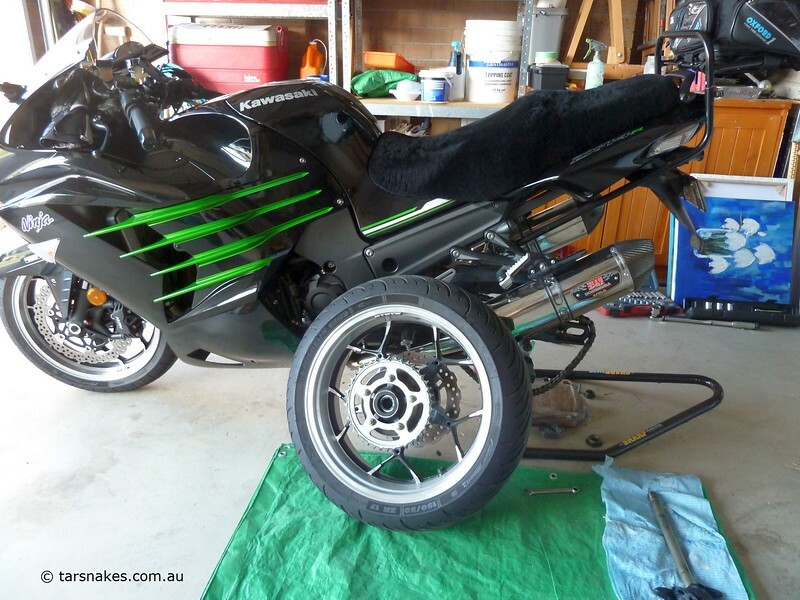 This entry was posted in Kawasaki ZX14, ZX14R by jcpearce. Bookmark the permalink.